Patha-Bhavana is partly a residential co-educational school for elementary and secondary education, preparing students for the School Certificate Examination of Visva-Bharati. Patha-Bhavana was founded by Rabindranath Tagore in the year of 1901. Patha Bhavana is situated in front of Singha Sadan & north of Gour Prangan. The ground floor was constructed by Balendranath Tagore in 1899 and the first floor roof was covered by straw. Rabindranath named this house as ‘Balvi Kuthir’. Initially, it was started as Bramhacharya school with only five students. 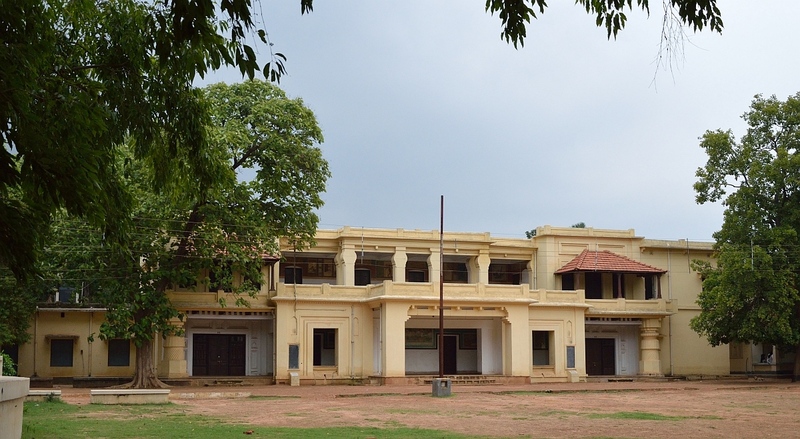 In the early years during 1901 to 1921 this school was known as the Santiniketan Brahmacharyasram, during 1921 and 1924 it came to be called the Visva-Bharati Purbavibhaga and from 1925 it became Patha Bhavana. The school was founded with philosophy of learning in a natural environment with the heart in closeness to nature without any superficial barriers between teachers and students, as opposed to the strict, repetitive and the rote learning system that was mainstream during Tagore’s childhood.